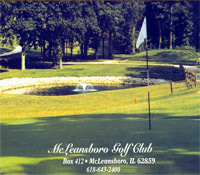 McLeansboro Golf Club is a nine-hole semi-private club located on the west side of McLeansboro, IL. The course features small bent grass greens and Bermuda fairways. With two reachable par 5’s and a drivable par 4, birdies and eagles are possible. However, with two challenging par 3’s and with OB or ditches that could come into play on 7 of the 9 holes big numbers are also a real possibility. If you are looking for a fun, affordable, yet challenging round of golf come on out and tee it up with us. McLeansboro Golf Club would like to make an early welcome to everyone for the 2019 Golf Season. The Golf Course is making some significant improvements for the 2019 season including some fresh faces, as well as a NEW course management team. 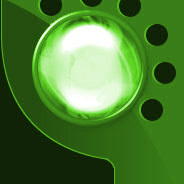 Our renewed focus is to provide our members and guests with an improved hospitable atmosphere that everyone can enjoy! Please stay tuned for more information about the 2019 Season and what’s new to come! Please download the 2019 Membership Application and feel free to reach out to us with any questions. New Members recieve a 20% Discount. We look forward to seeing many new faces out on the course. If you have any questions about advertising, sponsorships, course rental, course events, or any other information, please do not hesitate to reach out to us by phone at 618-643-2400 or by email at mclgolfclub@gmail.com also visit our Facebook page. We would like to welcome Avery Sprehe, the NEW McLeansboro Golf Club Greens Keeper! Avery has over 15 years of experience as a Golf Course Superintendent and Greens Keeper. He is going to be a great addition to our program! We have some new advertising and sponsorship opportunities. If you would like to support our club and introduce your business to our clientele please check out our Advertising & Sponsorship packages. McLeansboro Golf Club is currently seeking applications for a Club House Attendant and a Hospitality Host for the upcoming 2019 season. More information can also be found on our Facebook page. All beverages must be purchased from the McLeansboro Golf Club. No private coolers are allowed.